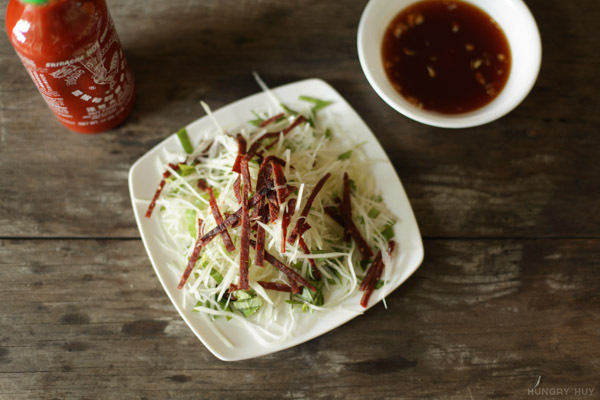 There are LOTS of fresh veggies in many vietnamese dishes, wouldn’t you agree? Any time you have a wrap, or something being dipped into sauce, it’s almost a given fresh lettuce or herbs will be a part of it. And in how many other types of soups do you order and pretty much expect a side of bean sprouts or a mountain of mixed herbs to go along with it? Bún nem nướng falls in line with the veggie train here. 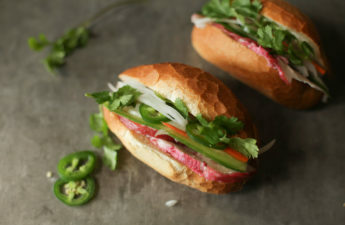 Bún nem nướng is actually similar to another recipe I shared with you before–bún thịt nướng. 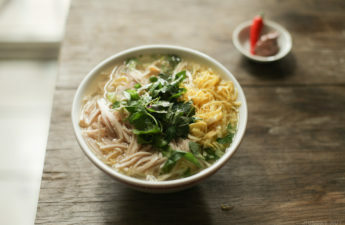 They share the same bed of rice noodles, lettuce and herbs, garnish and dipping sauce, with grilled pork as the protein. Some will argue the pork here is the star here, but the supporting cast completes the experience. 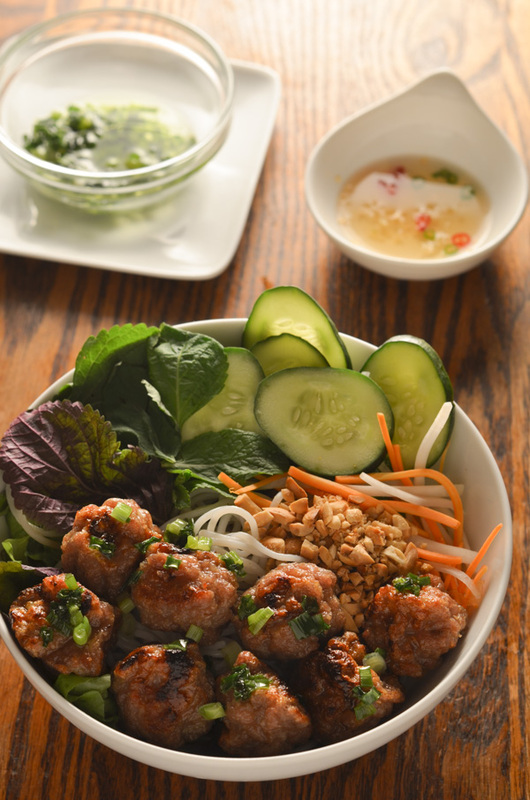 The texture of the nem nuong is affected by the fine grind of pork, the potato starch and the baking powder added. 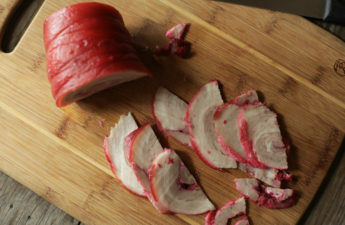 For a more predictable, fine-sized grind, you should ask your butcher to put your pork through the grinder four times. If you’re buying pre-packaged stuff you can wing it and use a food processor at home to achieve a finer pork paste. 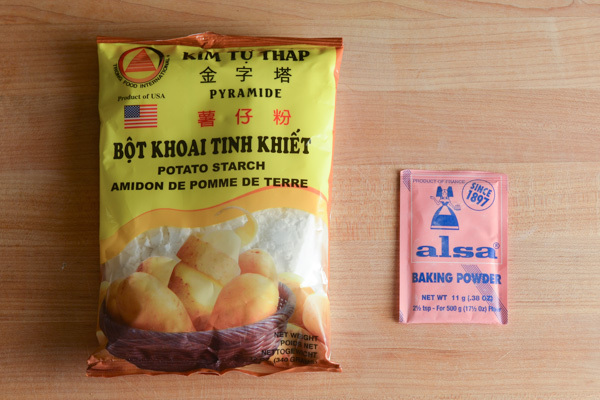 As for the potato starch, I got the one pictured below from a Vietnamese market, but you can buy any brand and you’ll be fine. For the baking powder, you should use Alsa baking powder. Unlike most baking powders, this one is single-acting instead of double. If you find another single-acting brand go for it! 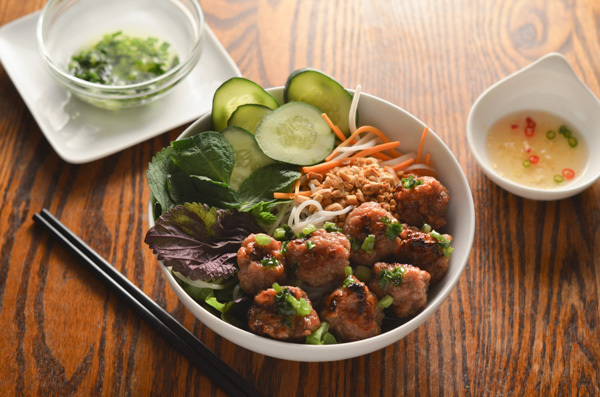 If you really want to replicate how restaurants and stores make nem nướng, you have to add some sodium nitrate to the pork, which makes the pork more pink and acts as a preservative. There seems conflicting data about the safety of adding sodium nitrate to food. To me, the tradeoff isn’t worth the unknown risk especially if you have the choice to leave it out. 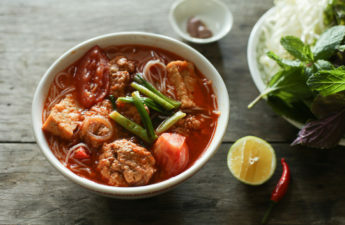 A meat ball shape definiltey make more sense for serving with rice noodles. And you’ll typically see the pork served on skewers from being freshly grilled. 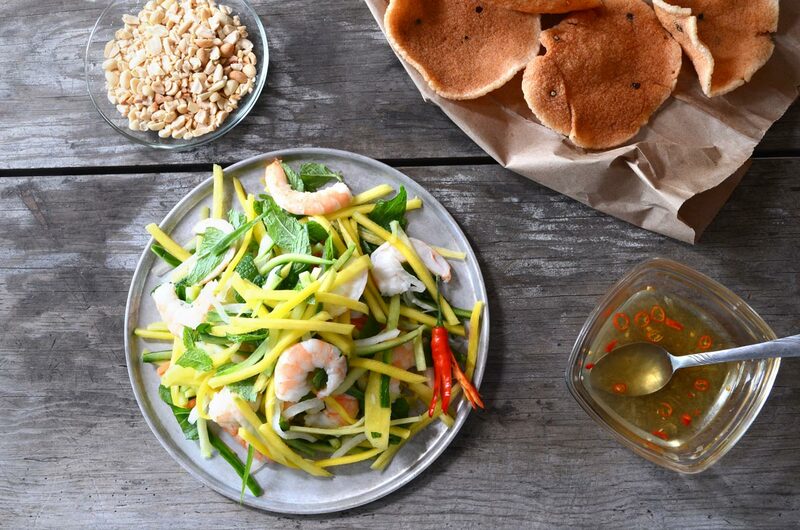 Some “musts” for this dish is the topping of scallion in oil and crushed peanuts. Just looking at this is makes me crave some cheap, ice-cold lager, to pair it with. Mix all seasoning ingredients in a bowl and mix. It will bubble from the baking powder. After everything is dissolved, add the pork and mix well. Cover with plastic wrap and refrigerate over night, or freeze for about 1 hour or until slightly firm. The purpose is to thicken it up. Although the butcher ground it 4 times, blend this one final time in a food processor after marinating so it becomes stickier and easier to form shapes with. Form into desired shapes--usually balls or logs. Deep fry or grill to add color and finish cooking. These ingredients are totally going on my shopping list after all this thanksgiving nonsense is over! Thanks for the recipe! 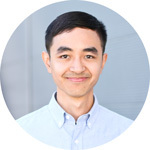 Hi Huyen! I’ve heard that it makes the texture different, possibly grittier somehow. I haven’t tried it myself so can’t say for certain. Hi Huy, Can I use the same ingredients except substitute the pork mince for chicken mince? Hey Amy! I reckon you could do it, but I haven’t tried it. It wouldn’t be traditional though, so you’d have to pitch it to Vietnamese palettes as another kind of dish :). I love hearing about what cooks are doing around the world. I’ve seen a few folks do chicken and it seems to be mainly for health reasons. You’d be hard pressed to find restaurants selling it where I live. I texted my mom about this, and she knew straight away: “you can use chicken, but add 20% pork fat.” I’d love to see how it turns out, Amy! Can I use regular baking powder than the one that you used in this recipe? Hello! I haven’t tried regular baking powder. It should be ok though, possibly with a slightly different texture. Made this today and substituted roasted rice powder for potato starch because it was in the pantry and my family complimented me so much. Thank you so much for this site! Hey Gina, I’m curious to know the difference it makes in texture but I’m glad your family enjoyed it :). Thank you for trying out the recipe and sharing the results. I made these and everyone loved it. Thanks for sharing Cathy, I’m glad they all enjoyed it!